It has been some time since the electric scooter came to the focus of the public. 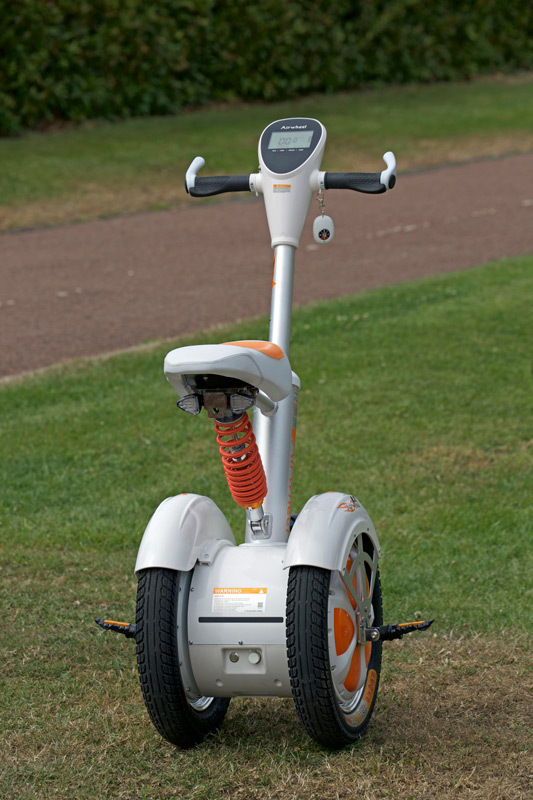 Generally, most electric scooters are designed with standing-posture riding mode. In other words, riders have to keep standing on the vehicle, which may easily result in fatigue. 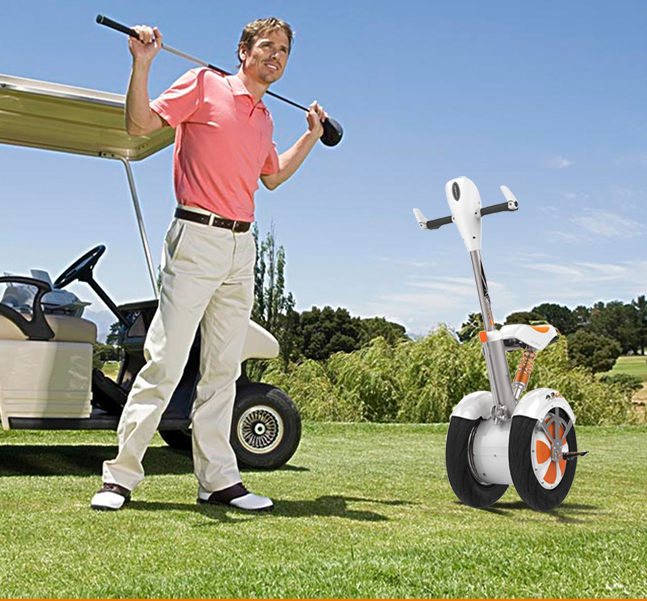 In order to tackle this problem, Airwheel has rolled out the first member of its A-series–Airwheel self-balancing scooter A3. A3 features its unique sitting-posture riding mode, which helps drive away fatigue for the riders. As the significant breakthrough of A3, the V-shape saddle, made of leather, is able to offer riders the most comfortable riding experience. Moreover, under the saddle is the hydraulic suspension that has the ability to abate the impact and vibration during the ride. With the help of this setting, riders can negotiate various terrains comfortably no matter how winding or rocky the road is. Apart from that, to further satisfy the needs of riders, Airwheel has extended the range of A3 to 48 km by technology advancement. Furthermore, since the riders won’t feel fatigued from riding anymore, they can actually have a long-distance trip with the transport, which marks another breakthrough of Airwheel self-balancing scooter.